It's been frustrating to me that there's no equivalent for WebExtensions of the old Inline Options that was available to legacy addons. 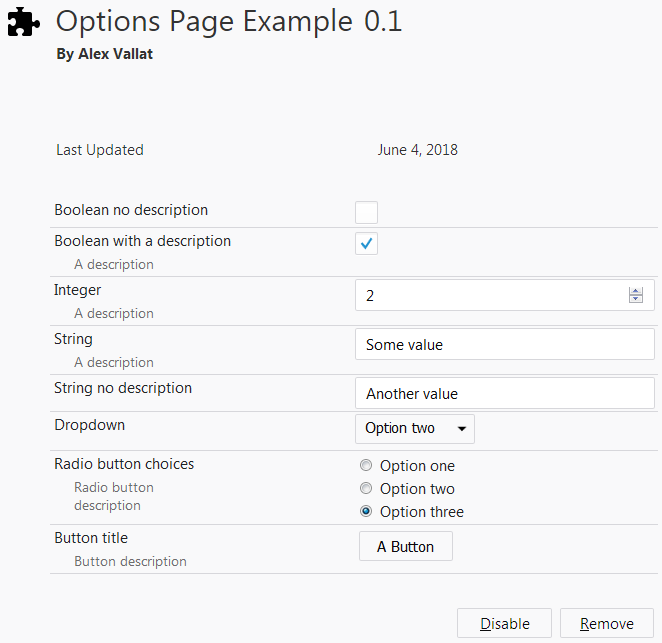 With the old options.xul system it would handle the reading and writing of preferences, styling to match the browser UI, and consistency of controls. I haven't added support for the old colour picker or file/directory picker controls that were available, but that could be done in the future if required. Pull requests welcome.